Pastor Valery Hryhoryk is the director of Bible camps for children and youth in Belarus, and the pastor of two Lutheran congregations, in Vitebsk and Orsha, Belarus. He grew up in Kobrin, Brest district, Belarus. He is married and has an 11-year-old son, Anton. His wife, Tanya, is a hairdresser. Pastor Valery served in the navy for three years. He graduated from Minsk State Pedagogical University of Foreign Languages in Minsk, Belarus, and is a teacher of English and German. In 1992, Pastor Valery became a Christian. After completing his university degree, Pastor Valery was actively involved in the translation and printing of, at that time, much needed Christian literature. Pastor Valery studied theology in England for two years, where he became acquainted with Luther’s theology and the concept of salvation by grace. (At that time, everyone in Belarus believed in salvation by works). After his studies in England, he played an active role in the rebuilding of the Evangelical Lutheran Church in Belarus, which was destroyed by the communists. In 2004, Pastor Valery was called by God to be a pastor in the Evangelical-Lutheran Church of John the Baptist in Mazolovo village, Vitebsk district. In 2005, he founded the Belarus Lutheran Missionary Fellowship (BLMF), a mission to restore the historical Lutheran Church in Belarus. In 2006, Pastor Valery founded Good Book Publishers with the aim of translating, printing and distributing quality Lutheran materials. The books are distributed in Russia, Belarus, Ukraine, the Baltic States and other countries with Russian-speaking Christian communities. Visit their webpage: http://goodbook59.wixsite.com/ministry. In 2012, Pastor Valery was elected secretary of the Union of Evangelical-Lutheran congregations in Belarus. In 2013, he became a member of the Board of Trustees for the Lutheran Bible School in Petrodolina, Odessa region, Ukraine. Since 2013, he has been an ordained clergy member of the LCMC. In 2017, he was certified as an NALC pastor and called as a Global Worker to Belarus through NALC Ministry Partner East European Mission Network (EEMN). 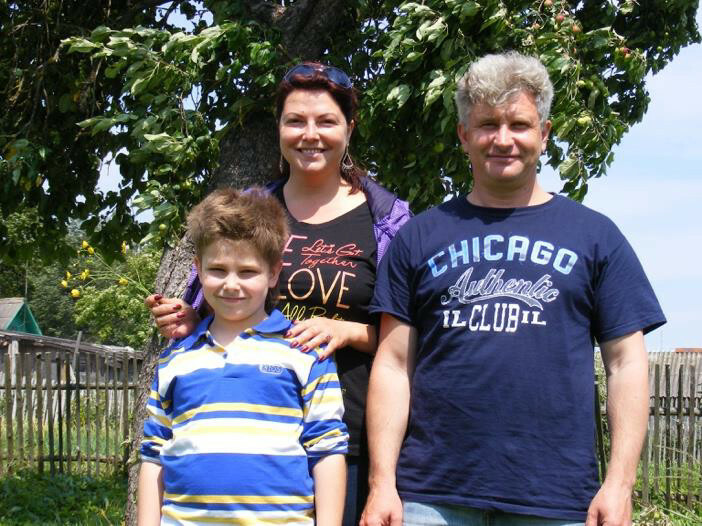 Click here for a form to “adopt” Pastor Valery Hryhoryk and send direct support.